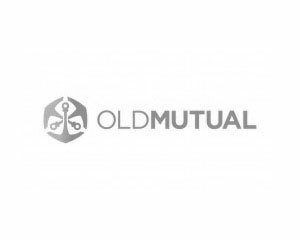 Old Mutual Employee Benefits Legal & Compliance Services identified the need to establish a culture of coaching within the business unit in order to increase organisational learning competencies. LifeLab was selected because of its proficiency in designing and delivering peer-coaching interventions, which was seen as a suitable approach to enable cultural shifts across silos in the business unit. The intervention was designed to build leadership capability, increase individual learning potential through harnessing peer relationships to deliver a learning output, and then to create synergies within and across the various teams within the business unit. The intervention included Executive Coaching services for management. The intervention was designed to respond to specific conditions existing within the organisational climate and commenced with participatory action research that sought to explore these systemic conditions whilst building research competence amongst the business unit leadership team. The leadership development process was the backbone of the intervention and was an adaptation of Theory U. This meant that the leaders developed an ability to systematically investigate and respond to emergent trends in their work environment. Executive coaching was used to support implementation of the change agenda. The entire business unit was trained in peer coaching skills over an 18 month period. Departmental structure: The development and drafting teams function as a team which is characterised by co-operation and open communication. The majority of the members of the team (76%) agreed that the coaching facilitated the process. The team building exercises were identified as the most important part of the intervention that brought this about. ‘I think the walls were broken down and you saw the person behind the desk. I found out we are actually doing work that overlapped,’ is representative of the general feedback given pertaining to team cohesion. Management style: ‘It was very challenging at times in some of the sessions to receive open feedback without taking it personally. It taught me a lot about open communication.’ Members of management agreed that a higher degree of open communication was achieved amongst them, and they were assisted in understanding in which way each of them contributed to the team’s functioning. Scharmer, A.O. (2007) Theory U: Leading from the future as it emerges. Cambridge:SOL.